In times past, dealerships were the place a potential customer came to learn about new models, obtain literature, and discuss options with salespersons. Those days are ending to some extent with the proliferation of smart phones and other mobile devices. Now shoppers can perform a lot of pre-purchase research from the comfort of their homes. As an automotive dealer, you need to be sure to take advantage of this marketing opportunity. Nearly three-quarters of the US population now has a mobile phone or smart tablet, and the power of that market comes from getting them correct and timely information when they look at your dealership and inventory. You are more likely to get a customer to the dealership when they have received correct information about a car of interest. Research also shows that many customers will return to your dealership for service if you make it easy to book future service appointments after the sale. 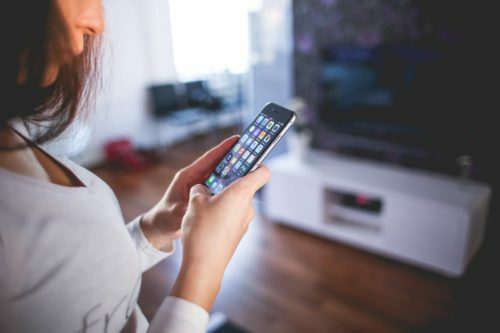 Along with searching for auto inventory, savvy mobile phone users are also critiquing your dealership’s customer service from online reviews and testimonials. If you ignore a customer or don’t resolve a sales or service problem, there’s a good chance a negative review will end up concerning your dealership’s performance. There is a lot more impact from a negative review on the Internet reaching hundreds or thousands of people than from an unhappy customer telling a few friends not to do business with you. Also, don’t ignore your competition when showing your inventory and prices. Use the Internet to your advantage — post your prices next to higher prices from local competitors, or show how your model features exceed those of other brands. Make these comparisons mobile-friendly because a large fraction of potential customers will review your data with a phone in their hand, not sitting at a desktop computer. If you need assistance in developing mobile technology focused advertising, the DeAngelis Automotive Advertising Agency is where you need to be. Our experts can show you the benefits of marketing your dealership on mobile devices in the virtual world. DeAngelis Advertising can bring customers to your website and into your dealership, with a resulting improvement in your bottom line. The 21st Century is changing auto sales; let DeAngelis Advertising show you how to keep up.